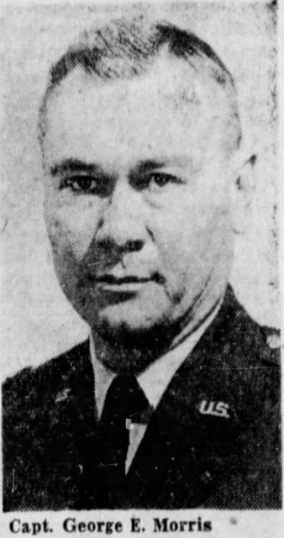 Captain George Morris was killed when the tire on an RB-66 Destroyer Tactical Light Bomber exploded at Kirtland AFB, New Mexico. He was in his office when he was alerted to the tire fire on the bomber, which had just landed on the east-west runway. He responded to the scene of the fire with other members of the Air Police. Moments after the base fire department extinguished the fire the wheel exploded. A piece of the wheel assembly that was dislodged in the explosion struck Captain Morris. Captain Morris was a WWII veteran and had served in the military for 13 years. He was the provost marshal of the Kirtland AFB Air Police. He was survived by his wife, son, two daughters, and parents.